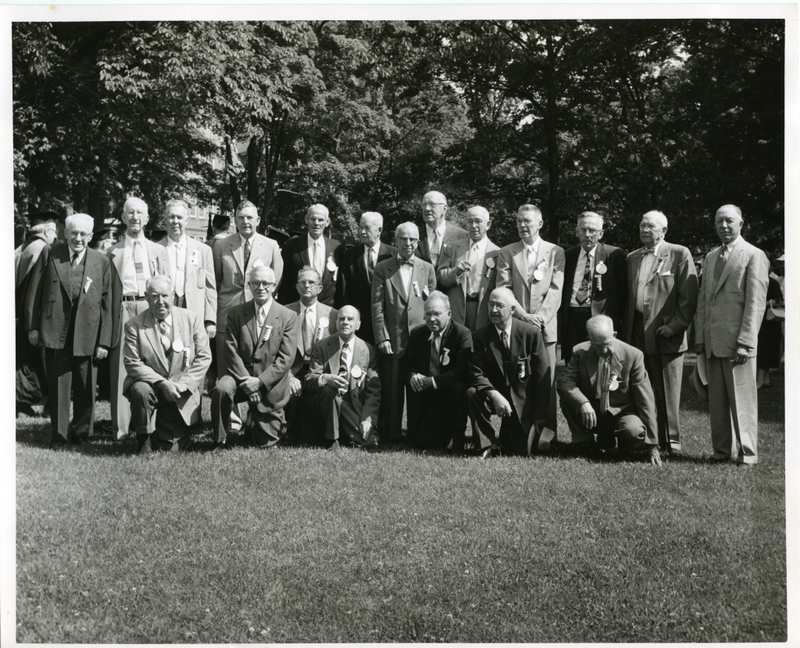 Group portrait of the Bowdoin Class of 1905 at their reunion. Back (left to right): Pierce, Unknown, Unknown, Philoon, Robbins, Unknown, Unknown, Finn; the rest are unknown. Front (left to right): Cushing, Unknown, Pettingill; the rest are unknown.